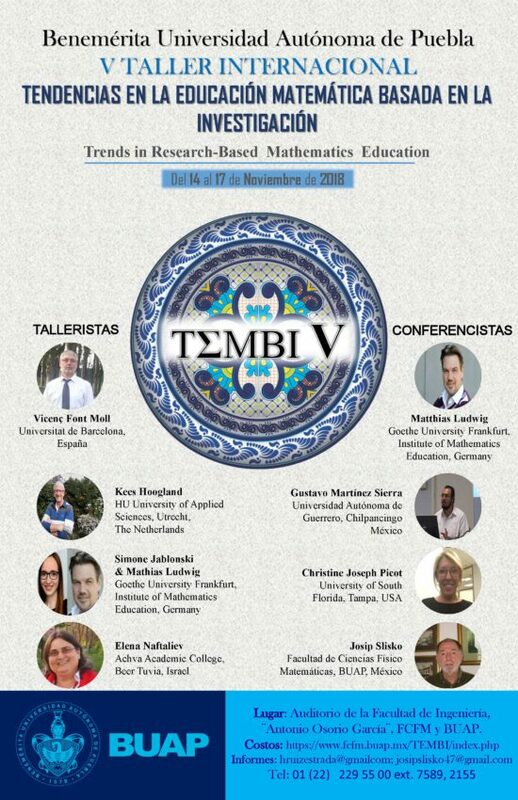 A wonderful conference with math teachers, math teacher educators en students from Mexico, Columbia, Venezuela, and Cuba. Four days of workshops, lectures and hands-on activities (for instance MathCityMap). 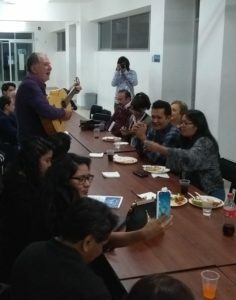 I was honoured to be among the invited “Talleristas”(=workshops) on the connection between mathematics and reality, a spin-off of my doctoral research on image-rich mathematical problems. 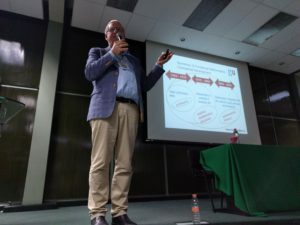 I had the pleasure to work in an empowering atmosphere under the charismatic leadership of Dr. Josip Slisko (photo, right), who is driven to improve physics and mathematics education in Mexico by connecting scientific concepts with real-life phenomena in the didactical process.